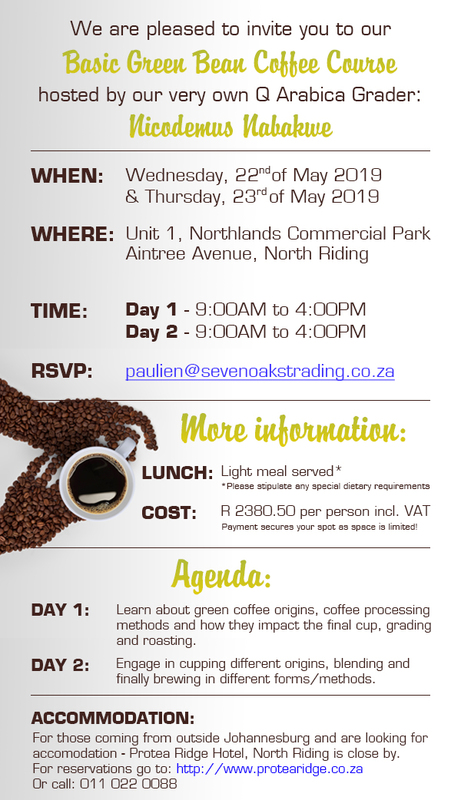 Sevenoaks Trading hosted another Basic Green Bean course in June this year, presented by our very own Q Arabica Grader Nicodemus Nabakwe (proudly one of the few qualified Q Graders in SA). 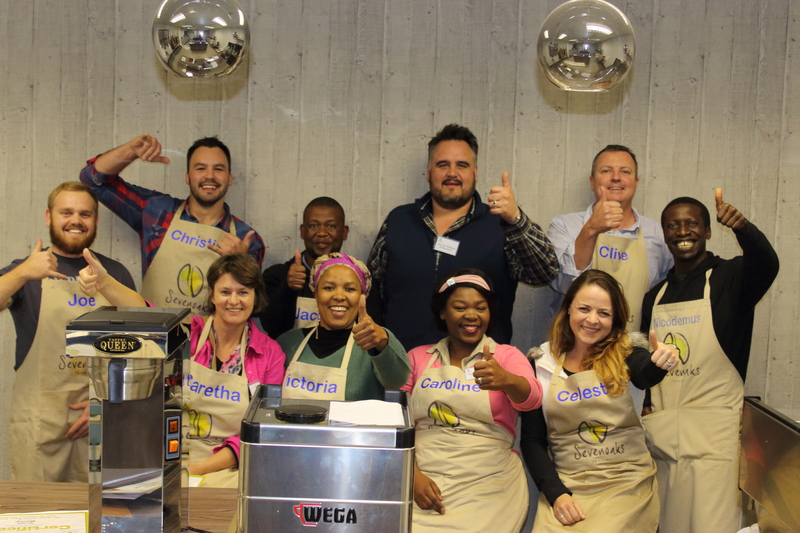 This two-day course covers the entire process green beans go through from ‘Bean’ to ‘Cup’, followed by some roasting in the afternoon on the first day. The second day saw some intense cupping and blending skills put into practise. Some excellent blends were made by our attendees. Who says learning can’t be fun!! Have a look at pictures from the Green Bean Course on our Facebook Page! Our next course is September 19th and 20th and we would like to urge all interested to enrol asap as space is limited.